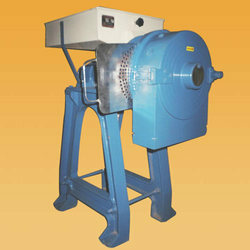 We have a wide range of pulverizer that are designed and manufactured to yield maximum efficiency to our clients. 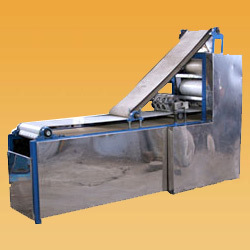 These machines are used for crushing and grinding different types of vegetables, spices and other food products. 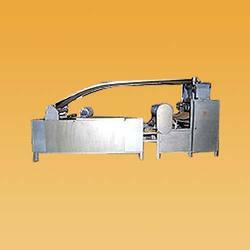 Available at competitive rates, these machines are known for their efficiency and durability. 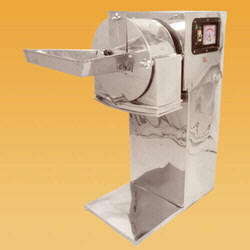 TECHNO WINGS Double Stage Mills are the latest version of the TECHNO WINGS Mini Pulverizer. 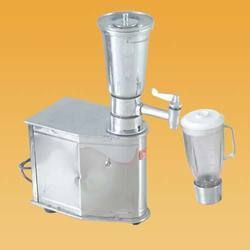 It provided with a Pre - crushing chamber where the material undergoes a coarse grinding and passes on to the fine powdering chamber. 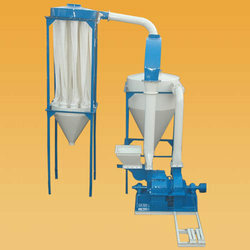 Therefore, we can feed the hard materials like turmeric directly for fine grinding in single feeding. This also gives more evenness for the spices powder. The operational life of the screens (sieves) in a double stage mill is about 20 times that of standard mini Pulverizer of the same capacity. Pre- cutting chamber fixed on the hinges, which also act as door for fine crushing chamber. The center classifier sieve also taken out very easily by twisting from the lock bolt. The feeding of this machine is through the center of the back end. The crushing chamber and bearing blocks are made of high quality cast iron Bearings lubricated in oil. Open the cover of chamber all grinding parts cleaned with a brush in couple of minute and the pulverizer is ready for next grinding. 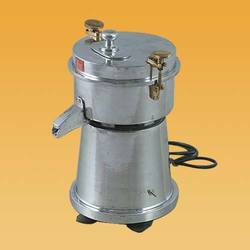 If required, the grinding chamber can also washed with water. Remove the cotton balloon and the screen, close the cover tightly and start the grinder. Now pour a bucket or two of water into the hopper. The grinding parts will be flushed with the water and cleaned. Continue running the machine for a few more minutes as the draft of the fresh air sucked into the grinder will dry it. The beater when worm out removed and reserved by removing the cur clip lock holding to the rotor pins. When both the edges are worm out, they sharpened on an emery stone, to use as new. In addition, when completely warn out, replaced the equal weight and refitted. Please check the oil level of oil bath chamber regularly.